This is the third type of the Maha Mrityunjaya Mantra which I am giving. This Mantra comprises of just 4 letters. This is the short version of the most powerful of the Shiva Mantras. 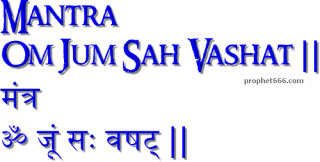 The Maha Mrityunjaya Mantra as mentioned in earlier articles wards of untimely demise.